Airbus Defence and Space displays for the first time Atlante UAS at Farnborough 2014. A next generation unmanned vehicle called the Atlante that has been developed by Airbus Defence and Space to the same standards as manned aircrafts will be on static display in the UK for the first time at Farnborough 2014. The Atlante UAS has obtained a Cat 2 system certification which enables it to fly over segregated areas and so can operate in civil airspace. 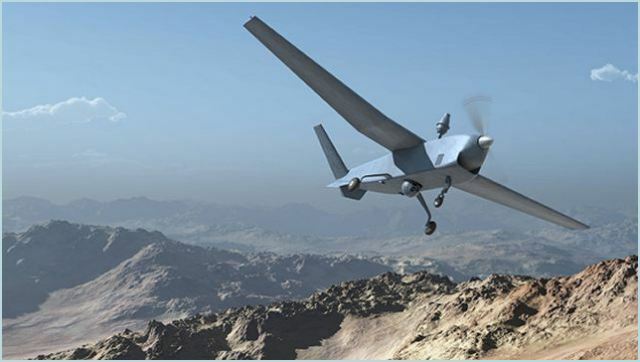 It is a medium altitude long endurance tactical multi-payload unmanned aerial vehicle designed to carry out target identification, shoot correction and damage evaluation operations. It can also carry out other ISTAR missions including intelligence, surveillance, target acquisition and reconnaissance. Atlante presents a system formed by four or more air vehicles, a ground control station, a ground data terminal, a transport, launch and recovery unit, a remote video terminal and a maintenance unit. It can operate 24 hours a day in all weather conditions and does not need take-off/landing strips, although it is provided with a landing gear system designed to operate from unprepared runways. On display in the Airbus pavilion this week will also been the Tanan UAS – a versatile and high performance tactical unmanned vehicle that has been designed to carry out ISTAR missions for armies and navies as well as civilian assignments. Airbus Defence and Space is part of the Airbus Group and was formed in January this year by combining the business activities of Cassidian, Astrium and Airbus Military. The new division is Europe’s number one defence and space enterprise, the second largest space business worldwide and among the top ten global defence enterprises. Its employs some 40,000 employees generating revenues of 14 billion Euros a year.